Perfect for garden and terrace. Available in both Versatile and Functional. 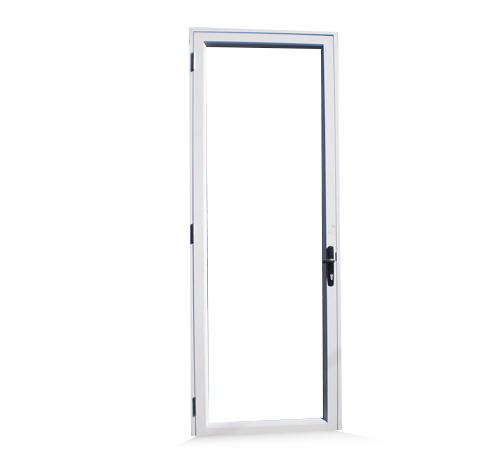 Aluminium hinged doors are used for front or back doors. They can be made to open either inwards or outwards. Available in both single and double door options. Can also be converted to double glazing. Single hinged doors may open either to the left or right-hand side and may open inwards or outwards, depending on the choice of the client or obstacles that might be in the way. Double hinged doors are both hinged to the frame with one of the doors fitted with bolts top and bottom so that it may remain in a closed position. Both doors may be opened if required. A stable door with a horizontal split, allowing for the top half to be opened individually of the bottom half. All of our doors may include glass panels or aluminium cladding inserts.